When you start working with us, you will be joining a team of like minded people who share a passion for both animals and helping people to achieve their dreams and fulfil their potential. We have a wide variety of people work for us, from lecturers and academic staff to IT support, course developers and administrators. And, as we are continually expanding, there are always new and exciting roles coming up. To apply for any of the vacancies please download the job application form and send to Jackie Sumpter. If you would like an informal chat about working with us please call Jackie on 01480 422060. Before applying please take a few minutes to read our Job Application Privacy Notice. Having built up a reputation for excellence in AAT training in the local area, we are now looking for an additional AAT lecturer with the passion and commitment to help our learners achieve. 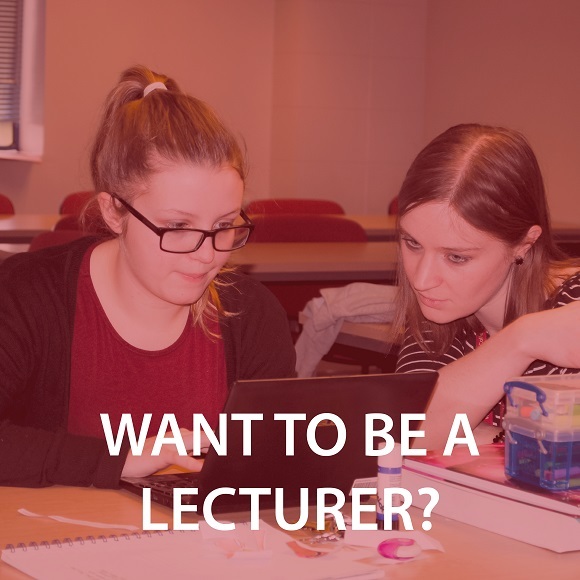 You could be an experienced lecturer, or looking to for your first teaching role; ideally you will need to be qualified to at least level 4 AAT standard and will have the enthusiasm to succeed. Working for a minimum of 15 hours over a minimum of 1 day and one evening. As an AAT lecturer you will teach across a range of bookkeeping and accounting programmes, supporting learners in all aspects of their learning and achievement. The College currently offers a Group Pension Scheme, and employees are enrolled as an active member of this scheme three months after the start of your employment. Annual holiday of 25 days per year (with 8 additional days for bank holidays), and the option to ?buy or sell? additional holiday. For further information or to request an application pack, please contact Jackie Sumpter, Human Resources Administrator, on 01480 422060 / jobs@caw.ac.uk or download an application form from the College?s website (www.caw.ac.uk). The College of Animal Welfare is committed to safeguarding and promoting the welfare of young people. All successful applicants will undertake a Disclosure DBS Check. The College undertakes not to discriminate unlawfully either directly or indirectly against a job applicant or one of its own employees. The College is committed to equal opportunities: appointments are open to members of the community on an equal basis. We currently have a full time permanent vacancy at our Leeds centre for an enthusiastic and committed individual to lecture in veterinary nursing. The position will involve teaching on both the Level 3 Diploma in Veterinary Nursing and the BSc (Hons) Veterinary Nursing programmes, as well as participating in the delivery of the centre?s short course programme. The successful candidate will be either a Veterinary Surgeon or a degree qualified Registered Veterinary Nurse. Teaching qualifications are desirable but not essential and full training will be provided. 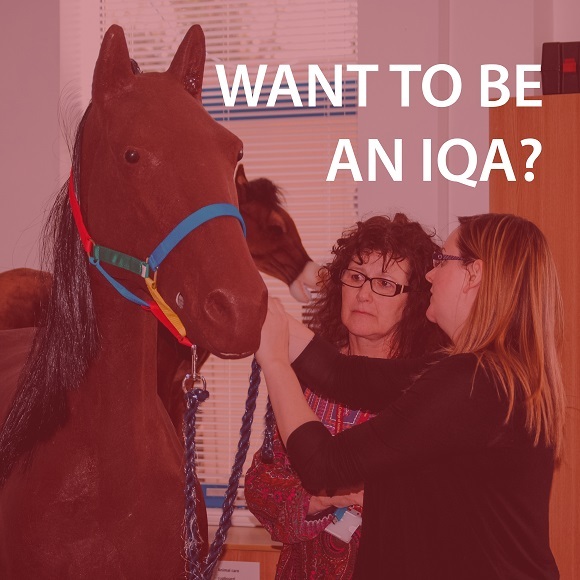 We welcome applications from those who are already involved in VN teaching or training or those who are currently employed in the veterinary profession and wish to explore career development opportunities. Annual holiday of 25 days per year plus bank holidays, and the option to buy or sell additional holiday. For further information and an application pack please contact our HR Administrator, at job@caw.ac.uk . The College of Animal Welfare is committed to safeguarding and promoting the welfare of young people. All job applicants will undertake a Disclosure DBS Check. The future is here and we are looking to add to our core team of staff by recruiting a mobile, flexible and adaptable workforce to support our training practices and veterinary nurse students on placement throughout the UK. We are looking for two Practice Support Officers, one to cover Kent and South London and the other to cover Hertfordshire and Buckinghamshire. This is a viable alternative to working set hours and is the ultimate in self-managed independent working. There is no cap on what you can earn other than your available time. You will be paid a monthly retainer for each student, clinical coach and training practice under your care and will be reimbursed mileage and expenses when you visit them or attend College training and standardisation days. There is a service level that you will be expected to deliver but you are empowered to manage your own time, work and earning potential without committing yourself to a traditional working pattern. You will be expected to regularly contact your allocated practices, clinical coaches and students. You will approve new training practices and carry out inspection and support visits. You will be the first contact for the practices and students. You will quality assure students practical skills assessments and provide ongoing support to clinical coaches.The role is a combination of home working and visits but it is your decision as to the when. This role is for RVN sand MRCVS who have their own vehicle and should reasonably be able to commit to a minimum of 15 hours per week at times to suit you and our stakeholders. The role requires you to be a qualified Internal quality assurer (formerly known as Internal Verifier D32 D33 D34 A1-A2) but if you do not hold the qualification then training will be provided. For an application pack, please contact Jackie Sumpter on 01480 422060 or jobs@caw.ac.uk. We currently have an exciting opportunity for a Funding Administrator to assist with the day to day administration, data entry and reporting of all student related activities and services. 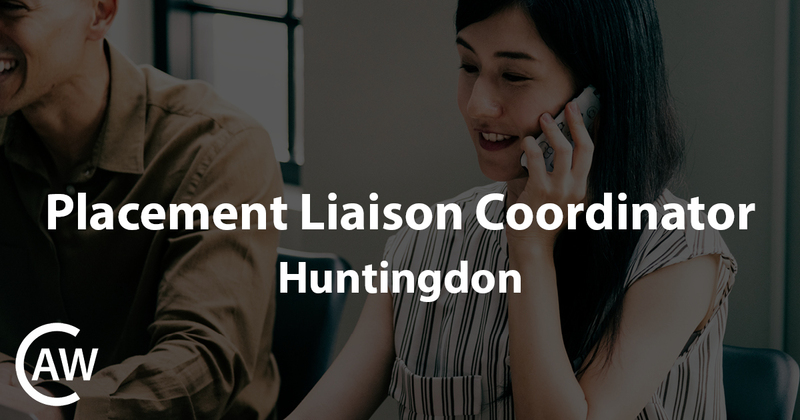 This role is ideal for an individual who has an excellent eye for detail looking for a new challenge in a fast moving office environment. The successful candidate will assist with working to meet contractual targets whilst ensuring audit requirements are met and engaging with current and prospective learners and employers. Are you tired of working weekends and night shifts? Are you looking for more stability in your work/life balance? Due to expansion, we are looking to recruit two Internal Quality Assurers (IQAs) one to cover Kent and South London and another to cover Hertfordshire and Buckinghamshire. This role is suitable for someone who has a passion and drive for Veterinary Nurse training, whilst wanting to incorporate more variety into their working day. The College of Animal Welfare supports students on Diploma and Degree programmes, so travel will be required to visit all placement students and Training Practices around Potters Bar, whilst also providing centre-based support for students and Clinical Coaches. The ideal candidate will be outgoing, highly self-motivated, well organised and have excellent communication skills. Benefits including work laptop and phone, generous salary depending on experience and an excellent CPD package. Experience as a Clinical Coach and MRCVS or RVN registration is essential for this role. Annual holiday of 25 days per year plus bank holidays and the option to buy or sell additional holiday. Reimbursement of authorised expenses for work-related activities (i.e. train travel). Hotel accommodation pre-booked and paid for, when overnight stays may be required. Please be aware that all applicants will be required to attend a work shadow day in order to ensure full understanding of the role and meet key team members. We currently have a permanent vacancy for a Clinical Skills Practitioner/Lecturer at our Potters Bar centre. The position will involve co-facilitating the delivery of practical skills teaching on both the Diploma and BSc (Hons) veterinary nurse programmes and providing NPL support and guidance to clinical coaches and students. The successful candidate will be either an MRCVS or RVN and have recently acted in either a similar role or be an experienced clinical coach. Excellent communication and organisational skills, a keen eye for detail and a commitment to help students achieve are essential attributes for the role. If you have any questions or wish to discuss the role further please contact Jackie Sumpter at jobs@caw.ac.uk . We are happy to arrange shadowing days at the centre for candidates. The College of Animal Welfare is committed to safeguarding and promoting the welfare of young people. Successful candidates will be required to undertake a DBS Check. We currently have a vacancy at our Edinburgh centre for an enthusiastic and committed person to lecture in veterinary nursing. The position will involve lecturing across both the Level 3 Diploma in Veterinary Nursing and the BSc (Hons) Veterinary Nursing programmes and participating in the delivery of the centres short course programme. The successful candidate will be a Veterinary Surgeon or Veterinary Nurse and must hold a degree. They will ideally hold, or agree to obtain a Level 3 Education and Training award during the first 6 months in post and to then continue qualifying with higher level teaching qualifications. We welcome applications from those who are already involved in VN teaching or training and those who may be looking for a change in career and think lecturing would be an exciting opportunity. The College of Animal Welfare is committed to safeguarding and promoting the welfare of young people. All successful applicants will undertake a DBS Check.